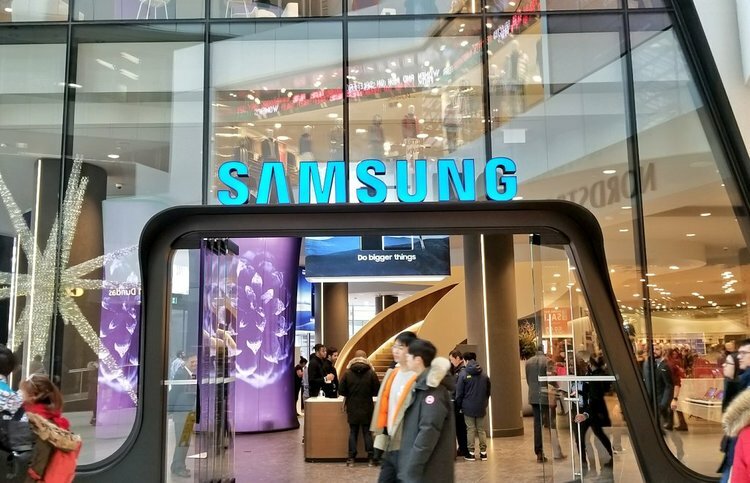 Toronto might be getting a new flagship Apple Store at Yonge and Bloor, but in the meantime, tech heads can immerse themselves in the enormous Samsung Experience store that just opened at the Eaton Centre. The largest of its kind in Canada and one of the most impressive retail spaces the brand boasts in the world, the store takes up 21,000 square feet over two storeys of space in the north end of the mall. According to Mobile Syrup, it even features a 65,000 pound curved staircase that links the two levels. It’s an impressive centrepiece to the Quadrangle-designed space that mimics the aesthetic sensibilities of the company’s products and exudes an almost Kubrickian futurism. Making good on the name, this less a place to shop than to experience the gamut of Samsung products, from an interactive VR zone on the first floor to a full demo kitchen upstairs. Yes, there’s more than just phones and tablets here.